The other day I was in London and met up with Jonathan Brown in Kings Cross to taste vinegar. Even though we never met in real life, it was like meeting an old friend. We met through twitter via our shared interest in Nordic cuisine and mushroom picking several years ago. In 2012 I had the pleasure of drawing mushrooms for Jonathan and his wife Sarah’s wedding. Each mushroom was made into a cute place card to organize the guests during their wedding feast. 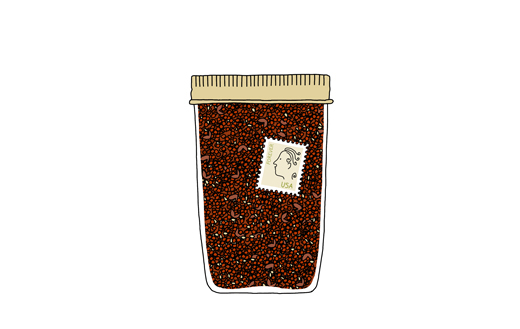 Jonathan and I also share an interest in sourdough, pickling, and other fermenting things. So when earlier this year I discovered that Jonathan had gone into business to make vinegar I felt it necessary to meet up in person when passing by London. And o’boy his Cult vinegar rocks! During a wonderful lunch (mushroom toast with some deep fried squid) Jonathan let me taste about 10 different kinds of his Cult Vinegar collection (several of which you can purchase online). For example; red wine vinegar (perfect in a dressing over sun ripe tomatoes), white wine vinegar (think mustard sauce and Hollandaise), moscatel vinegar (sweet and sharp like a white balsamic vinegar), ruby port vinegar (deliciously sweet and perfect in red meat sauces, waldorf salad dressing or together with blue cheese), sherry vinegar, German Riesling vinegar (perfect in a Fresh Pickled Cucumbers, recipe below), sake (should work beautifully in a dumpling dipping sauce), apple cider vinegar, and champagne vinegar (curiously citrusy and sharp which I liked on the fried squid). In 2011 Jonathan and Sarah traveled to Burgundy, France to hunt for their wedding wine. In a country side kitchen just outside Beaune they got introduced to a vinaigrier container; a very traditional ceramic vessel that lets natural bacteria in the kitchen turn leftover wine into vinegar. The initial incubation takes about 6 to 8 weeks – once alive it will last forever if topped up with the occasional half glass of wine. 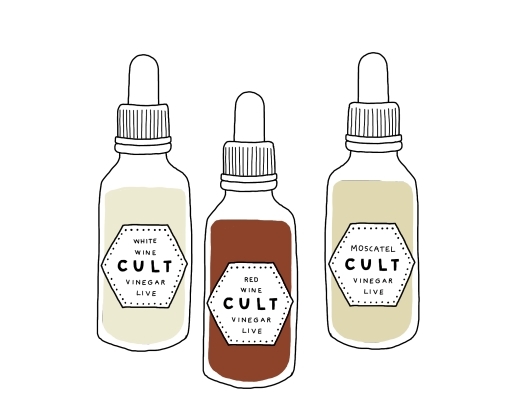 Jonathan quickly got addicted to the living smell of vinegar, so back home in London he started to make his own while playing with the idea of creating a modern version of a traditional French vinaigrier. A few years later after visiting a local ceramic school he connected with ceramicist Billy Lloyd and together they took on the challenge to design a new version. The result is the Cult Ceramics Vinegar Vase which is both beautiful and clever. With it’s hexagon shape and three different colors on the lids (red, white, and yellow) you can easily group several vases together and have different types of vinegar in the making at the same time. 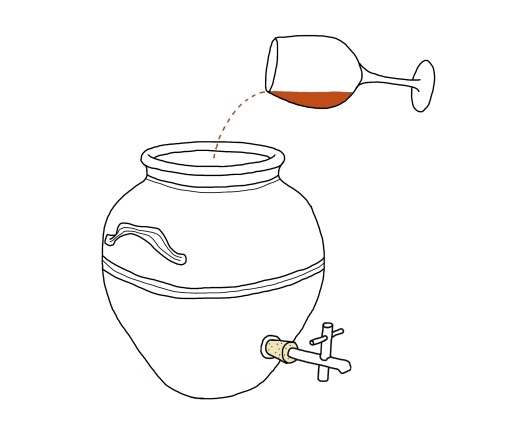 The vase comes with a handy “How-to- Guide” booklet and a bottle of a vinegar culture (the “mother”) so you can start your own vinegar production as soon as you have unpacked the vessel. Back in Brooklyn I have now started my first batch of white wine vinegar. Every time I walk by the vessel I can’t stop myself from lifting the lid to have sniff. I think I’m addictive already! 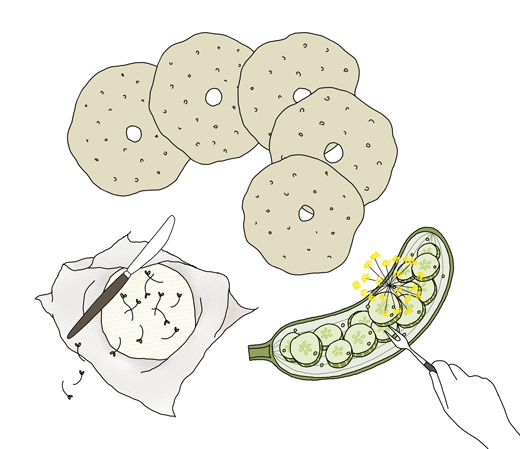 Here is a classic recipe for pressgurka, Swedish fresh pickled cucumbers. Normally these pickles are made with distilled white vinegar but some German Riesling Cult vinegar will make it extra special. 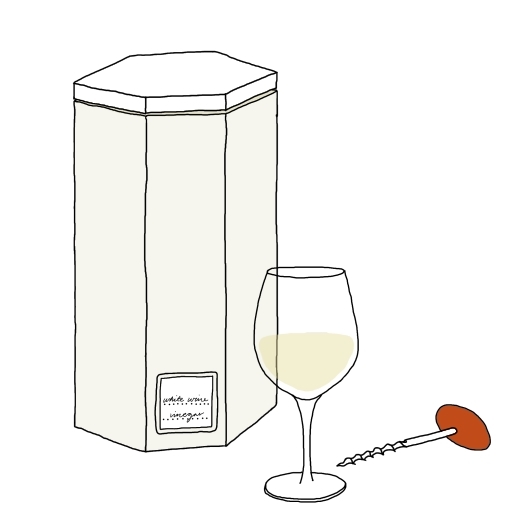 If you don’t have a Riesling vinegar on hand, substitute with Champagne vinegar or a good quality white wine vinegar. 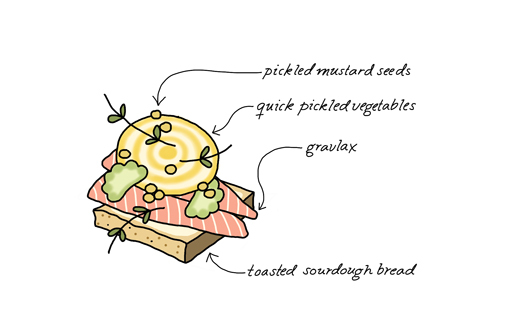 Try the pickles with meatballs, gravlax, or on a smörgås (Swedish open-faced sandwich) with cheese. Rinse the cucumber in cold water. 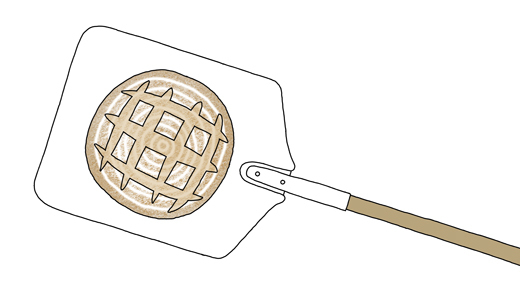 Slice it with a mandoline, cheese slicer, or potato peeler as thin as you can. In the meantime, prepare the pickling liquid. 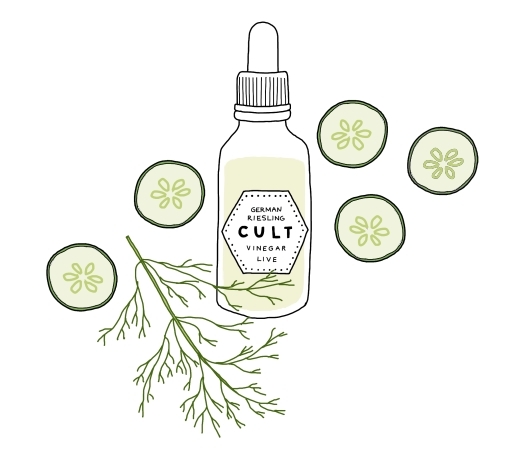 In a small bowl, mix together the vinegar water, sugar, and dill. Mix until the sugar is completely dissolved. 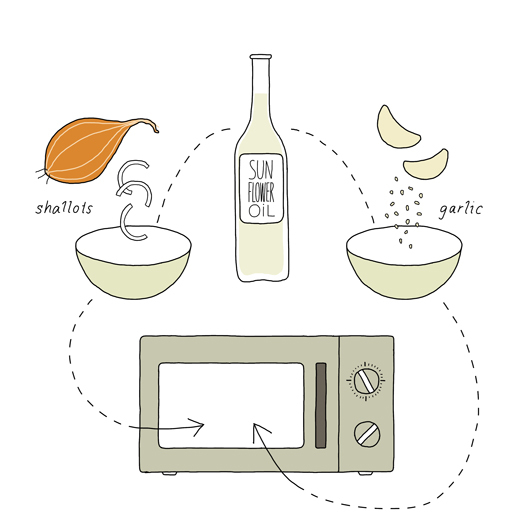 Adjust the acidity with more vinegar or water to your liking. Remove the weight and the plate and squeeze gently with your hands to remove any excess liquid. Place the cucumbers in a bowl or in a clean glass jar and pour the pickling liquid over them. Let sit at room temperature for at least an hour before serving. These pickles are best eaten fresh so consume them within a few days. Store in the refrigerator in a sealed container. In our garden we had an earth cellar that my mother stocked with treats during the outdoor season. The whole family went for weekend walks in the woods to forage for plants, berries and mushrooms. Some of the fruit and vegetables came from our own garden or nearby orchards and neighbor’s vegetable gardens. My mother made strawberry and raspberry jam, cooked apple compote, pickled gherkins and beets. With a steam juicer she made both elderflower cordial and black currant juice. She also made lingonberry jam that is very common as a side for typical Swedish everyday dishes such as meat balls, potato pancakes, kroppkakor and blood pudding. 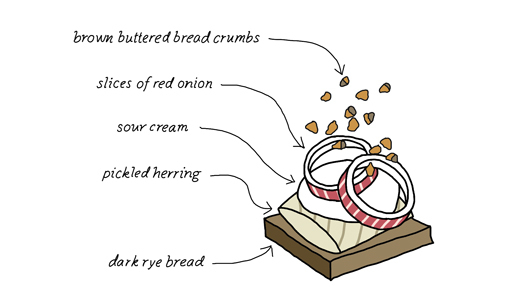 Some Swedes even enjoy this jam with fried herring. My father made different kinds of spirits (blackthorn and figs), that they stored and forgot until it was found (to their happy surprise) several years later. Some of these wonderful treats I do myself today, but at a much smaller scale as I don’t have the storage or a family of five to feed. My latest favorite are these quick pickled cucumbers that I created from memory from a restaurant visit to Amsterdam last summer. The original origin is definitely not Dutch or European, it’s more likely Korean or Japanese. These pickles can be done just a couple of hours before serving. They are fresh and crunchy and the rice vinegar together with the sesame oil give them a very pleasant sweet and sour flavor. I love it as a small treat before dinner, just as it is or together with cured fish. 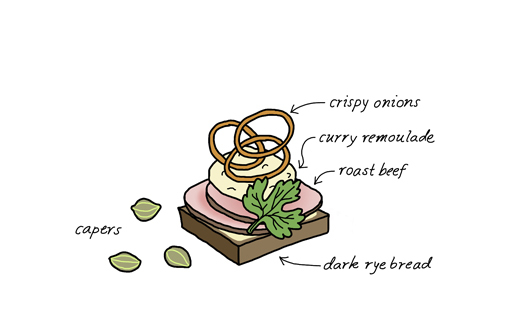 Its also excellent as a side for BBQ, stews and sandwiches. Wash the cucumbers and cut them into small bite size pieces. 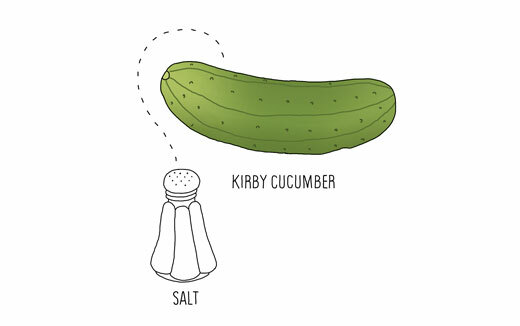 Place them in a bowl and add the salt. Toss well and let sit for 15-30 minutes. In the meantime, whisk together rice vinegar, sugar and sesame oil. Whisk or stir until sugar is dissolved. 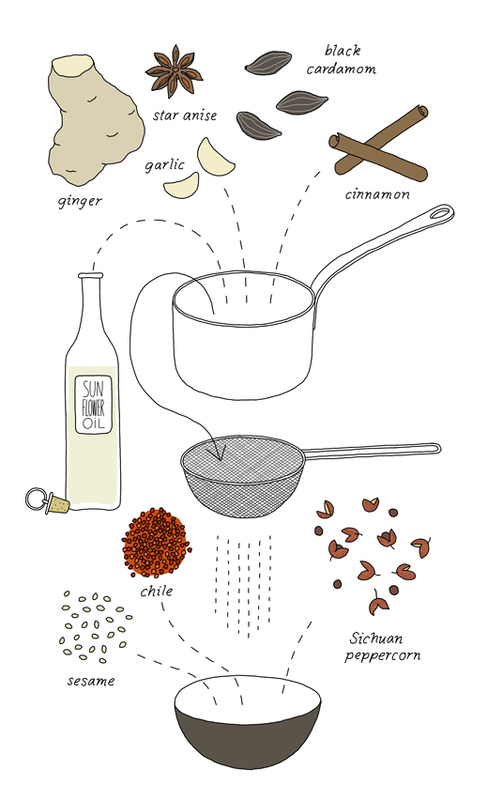 Add the chili flakes, ginger and season with pepper and fresh dill. Rinse the salted cucumber lightly with fresh water. Squeeze them slightly to remove water and pat them dry with a paper towel. When dry add them to the vinegar mixture. Toss well until all pieces are well coated. Season with more salt if necessary. Let sit for about an hour. Sprinkle some roasted sesame seeds over before serving. Please note that these pickles are not meant to be stored for a long time. The pickles should be stored in the refrigerator and I recommend you eat them within a few days. You can tweak this in many ways. 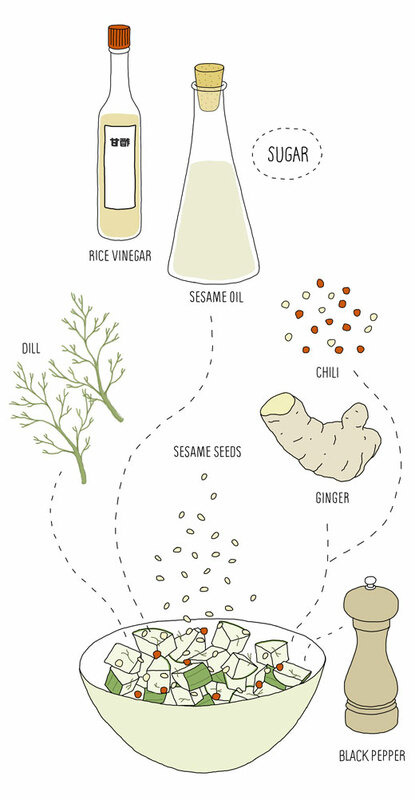 For example you can take out the sesame oil and switch the rice vinegar to distilled white vinegar and use horseradish instead of ginger. Every morning my husband walks out and pick handfuls of red & black currants, strawberries, raspberries or red gooseberries. He cooks the berries slightly into a sauce together with cardamon & cinnamon and serves it together with his oatmeal. Unfortunately I’m not a porridge girl so I just simply have it with some Swedish traditional filmjölk. Gooseberries are one of our favorites. When really deep red and totally soft and ripe they taste a little like grapes. Last week I picked the ones we had left and made some jam. Clean the gooseberries and remove the top and tail. 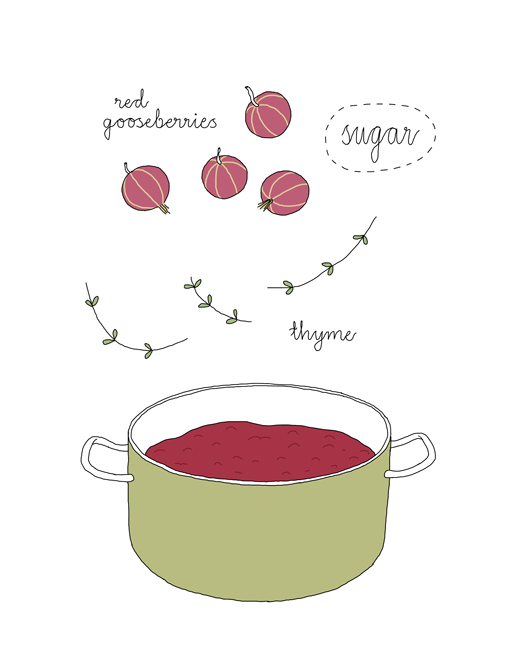 Place the gooseberries together with the sugar and thyme in a medium sized pan. Bring to a boil and cook over medium heat until your desired thickness has been reached (between 15 – 30 minutes). To check the consistency, take a spoonful of jam onto a chilled saucer, leave to cool for a minute or so before run your finger through it. It’s ready if the jam wrinkles up. If not, let it cook for another few minutes before testing again. When ready, remove the jam from the heat and pour into a clean sterilized jar. Screw on the lid and turn the jar upside down to create a vacuum. Let cool completely. Store the jam in the refrigerator for up to a month. If you want to store it longer, place the jam in the freezer. The jam is nice on top of aged cheese and toast. * I recommend to start with the lower amount and add more sugar if you want a sweeter jam.